On An Overgrown Path: What price BBC music coverage? What price BBC music coverage? The National Audit Office (NAO) is due to publish a report looking at how much the BBC spends on covering major sporting and music events. The corporation reportedly spent £1.5m sending 407 reporters and technical staff to cover the Glastonbury music festival last year ... 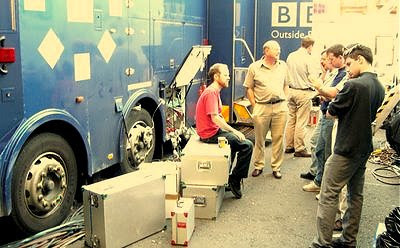 The NAO said the report would look at whether the BBC provides value for money with its coverage - from BBC News website. Do you remember someone asking what price the BBC Proms?